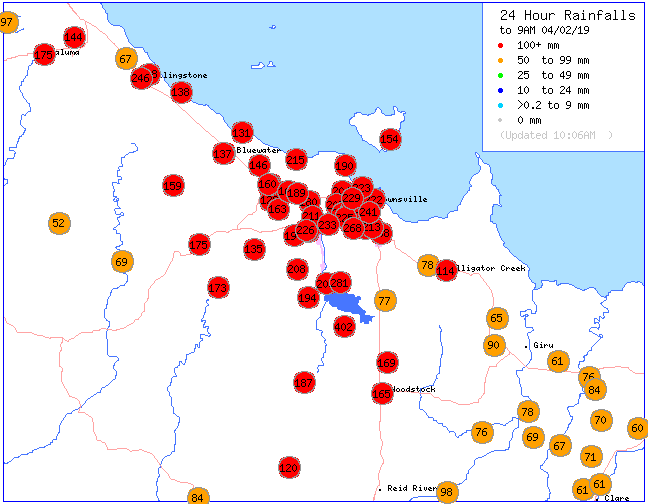 • 63 locations have now broken the 1000mm mark for this event across the past 8 days, with another 12 on top of that over 900mm (75 locations all up). 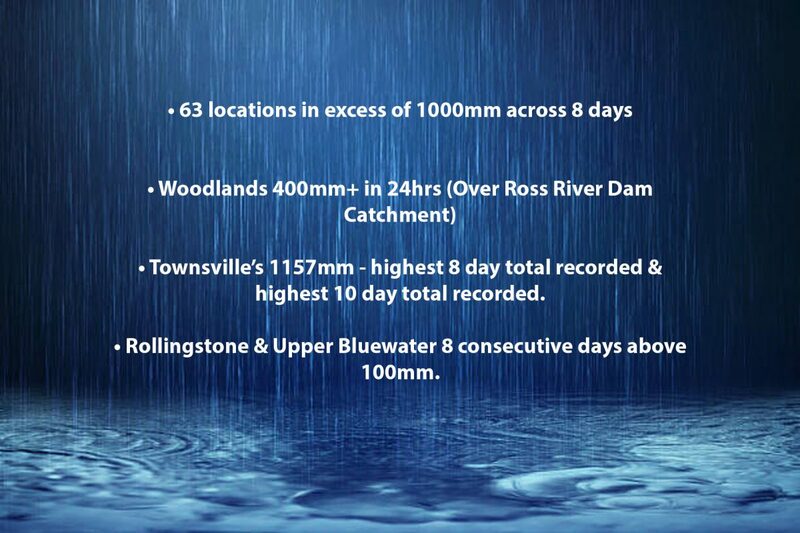 • Upper Bluewater and Rollingstone remain the only 2 locations to record 8 consecutive days above 100mm after Paluma recorded just 47mm and stopped at 7 consecutive days. 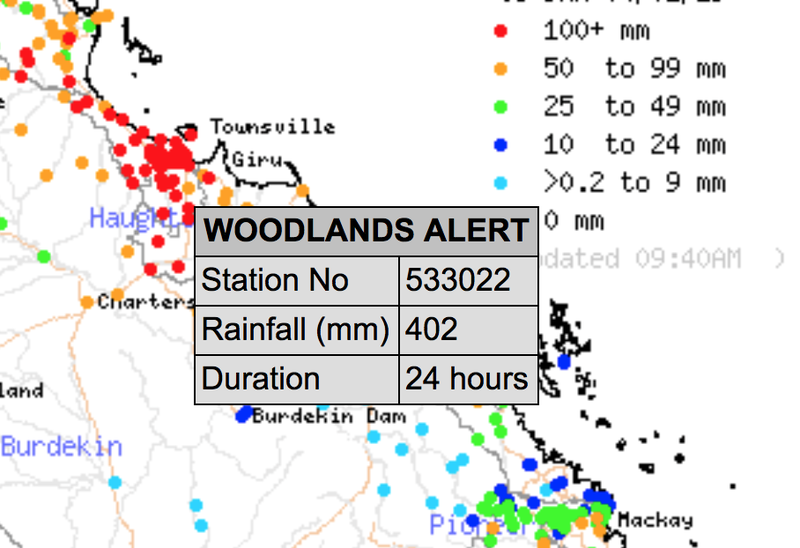 Woolshed’s 200mm streak is also over with 106mm recorded in the 24hrs to 9am Monday morning. Paluma Dam has recored 7 of the past 8 day above 100mm with the 1 day remaining the 99mm on Thursday (1mm short).